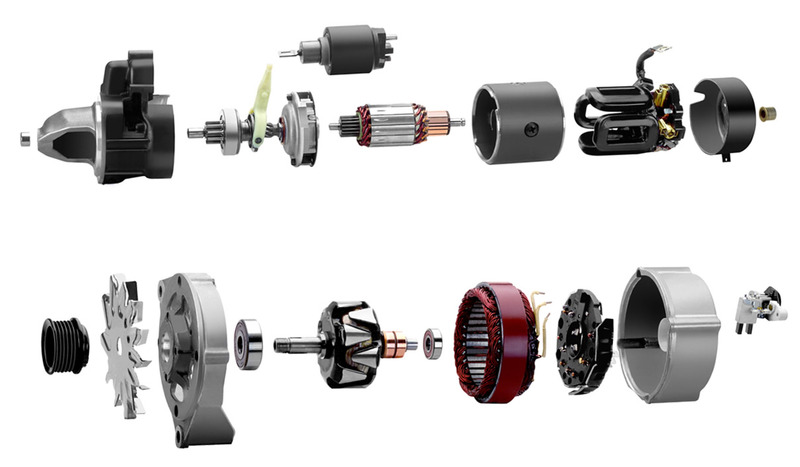 PRODUCT--Taizhou Borun Auto Electric Co., Ltd.
We are mainly manufacturing auto starter, alternator, armature, stator, coil and etc. The output of starter and alternator is 50,000 PCS per month and the expected output is 100,000 PCS per month; there are more than 800 types, including Valeo, Bosch, Mitsubishi Ford, Denso, Hitachi ,Delco, which applied to Mercedes Benz, BMW, VW, AUDI, Hyundai, Renault, Peugeot, Opel, Mitsubishi, Toyota, Cefiro, Blue bird and etc. We strictly control product quality and try to bring in various electrical equipments especially put large investment into test machine, which guarantee every product quality and make customers enjoy it. There is over 200 staff here including 8 professional engineers, 12 quality testing staff, 10 developing specialized persons. Technical level is high and developing ability is strong. At present, we can develop 80 to 100 new items and also we establish sophisticated ISO9001:2000 Quality system and ISO/TS16949 management system.